As we approach the Fall and Winter months and flu/cold season is upon us, it is a good time to start thinking about our immune system health. One of the best ways to boost our immune system is by consuming high-quality bone broth on a daily basis. Bone broth is filled with collagen and gelatin that are both great for our gut lining, which in turn helps improve our overall gut health and immune system. Collagen and gelatin also help with strengthening hair and nail growth as well as alleviating joint pain. 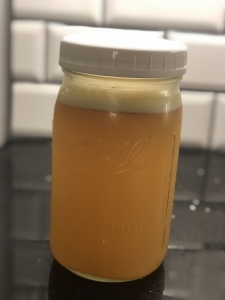 My wife is a wizard at making homemade bone broth using the Instant Pot! Here is her step-by-step technique. Make a big batch of bone broth and keep in the fridge. Heat some up either every morning or evening for a delicious and nutrient-dense addition to your routine! 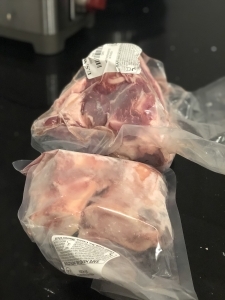 Step One – Purchase good quality bones for broth, such as from US Wellness Meats. We like using the patella bone, femur bone, and bone marrow bones. Step Two – Place bones on a roasting pan and into the oven at 450° for 20 to 30 minutes. 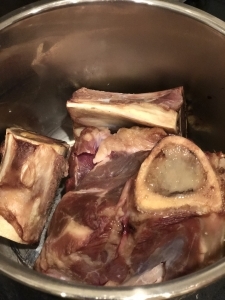 Step Three – Remove bones from pan and place into the Instant Pot. Deglaze pan with apple cider vinegar and scrape drippings with apple cider vinegar into the Instant Pot. Step Four – Add water, just barely covering the bones. 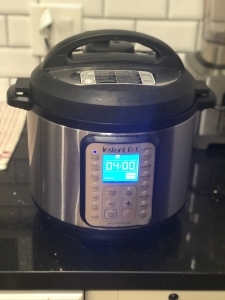 Step Five – Set Instant Pot to “Broth” mode for 4 hours. 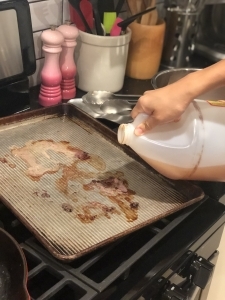 Step Six – Use a mesh strainer and pour all of the bone broth liquid into a mason jar to be refrigerated. Step Seven – Using the same bones, repeat steps four, five, and six for up to 4-5 batches. 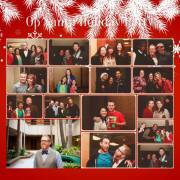 4th Annual Holiday Party for "Operation Santa" Project!